The Graduation Committee is pleased to announce Desiree Kinker as the 2019 student speaker for graduation! 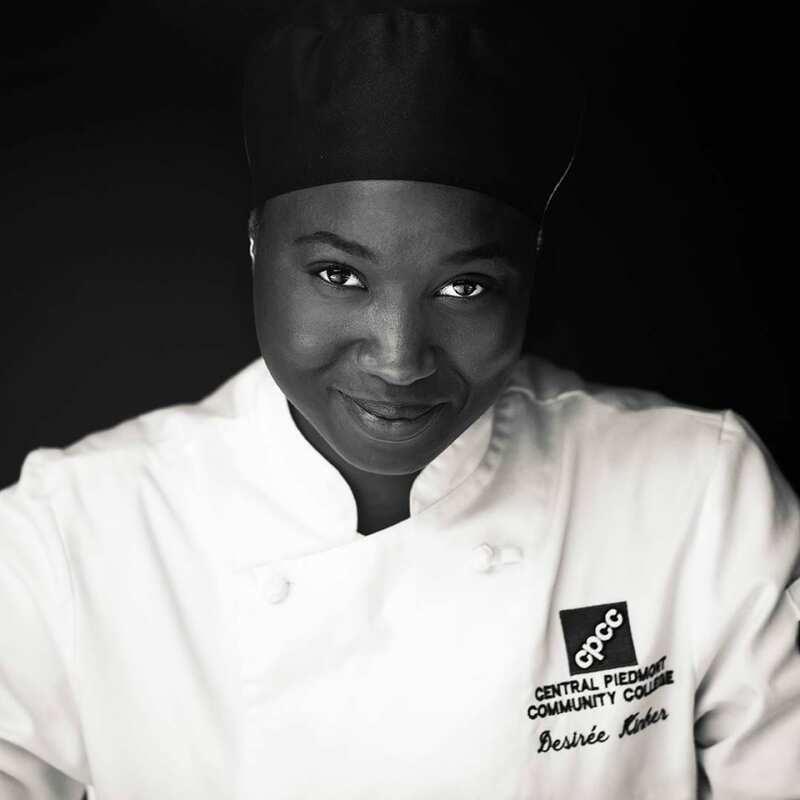 Desiree is graduating with an Associate of Applied Science in Culinary Arts, is a member of the Central Piedmont NC Student Culinary Competition Team, a former Ruth G. Shaw Scholar, and an active community volunteer. Those who know Desiree are familiar with the smile that greets you at her first hello, but few are probably aware of the journey that might lie beneath. Desiree is graduating in May as a successful culinary student, but the road that got her this far has bumps and bruises and many downs and ups. Though Desiree greets you with light, she’s not afraid to tell you about the tough challenges she has faced and overcome during her life and as a student. Desiree is a true example of how Central Piedmont can lift an individual from where they begin and catapult them into their own, unique future. She is a prime example of a student who valued and leveraged relationships around her, working hard (and with great wisdom) to build a better life and bring light to any space she enters. We are proud of her and of all of our graduates, and we are excited to hear her message! 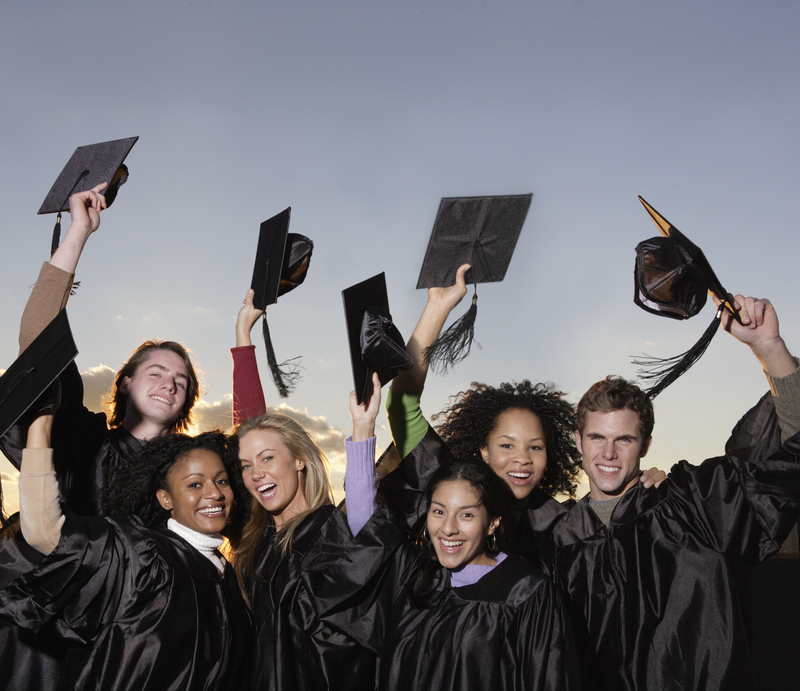 Are you graduating this spring? The deadline to reserve your cap and gown is March 31. Are You Graduating? Reserve Your Cap and Gown! Are you graduating in May? Have you applied and received your eligibility email? If you answered “yes” to these questions, then it’s time to reserve your cap and gown. For any questions, please contact the Graduation Office at 704.330.6312. 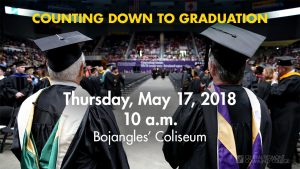 The College Graduation Ceremony is 10 a.m., Thursday, May 17, 2018, at Bojangles’ Coliseum, located at 2700 Independence Boulevard. Graduates should check in at the main entrance of the coliseum at 9 a.m. Invite as many guests as you wish; seating and free parking are first come-first serve. Please check your CPCC email account for more detailed information. For all College and Career Readiness Graduates, there is a mandatory graduation orientation on Wednesday, May 16, 2018, at 11 a.m., at Bojangles’ Coliseum, located at 2700 Independence Boulevard. 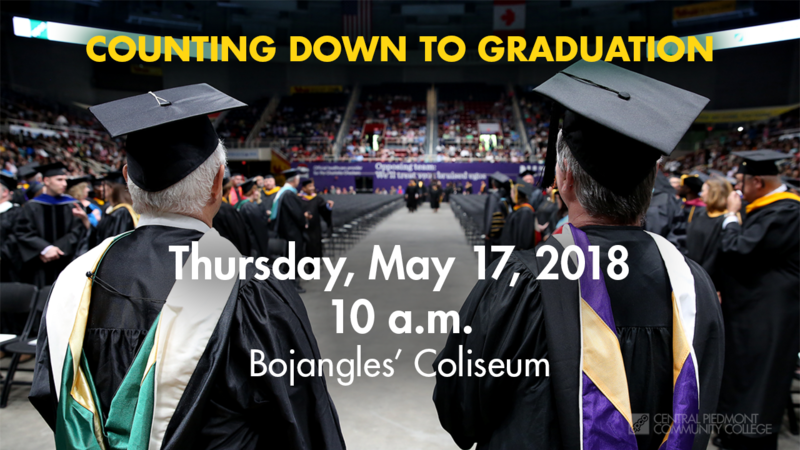 Graduates must attend the orientation to participate in the ceremony, which will take place at 3 p.m., Thursday, May 17, 2018, at Bojangles’ Coliseum. Invite as many guests as you wish; seating and free parking are first come-first serve. Please check your CPCC email account for more detailed information. For questions, call the Graduation Office at 704.330.6312. Be sure to join us on this special day to celebrate your accomplishments! All of your hard work has finally paid off and we would like to congratulate you on your graduation. We wish you much success in your new career or on your continued education path. Thank you for choosing CPCC and for letting us help you accomplish your personal and professional goals! Are You Ready? Graduation Time is Drawing Near! Be sure to attend to pick up your reserved cap and gown. Herff Jones representatives will also be available at that time to assist you with all of your graduation memorabilia needs. Caps and gowns will continue to be for sale at the Central Campus Bookstore until noon on May 16, 2018. 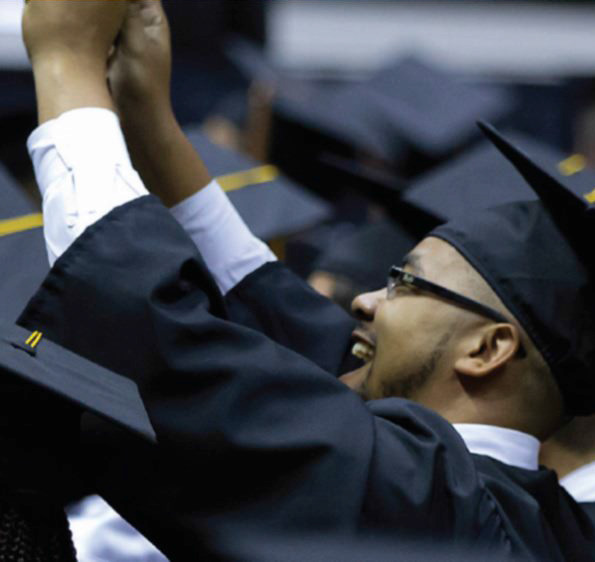 If you have any questions about your eligibility for graduation, please contact the Graduation Office at 704-330-6313. Did You Apply to Graduate? If So, Reserve Your Cap & Gown Today! Please check your CPCC student email accounts often. 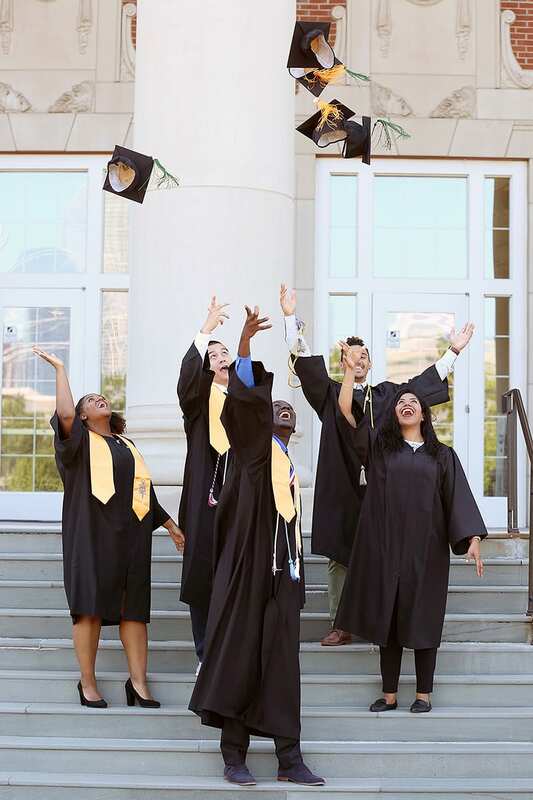 Students who have applied for graduation and are found eligible will receive an email from us with a link to order their caps and gown. No money will be due until the Graduation Fair on April 18 and 19. Caps and gowns will be available for sale at the Central Campus Bookstore until noon on May 16. For additional information, please visit cpcc.edu/graduation. Graduating in the Spring? Apply for Graduation Today! Are you planning on participating in the Graduation Ceremony on May 17, 2018, as a spring graduate? The deadline to apply is quickly approaching! Please meet with your advisor for clearance and apply for graduation through your MyCollege account by March 1. Summer graduates, please wait to apply until May 1. As Alvan Makoundi-Tchibinda walks across the stage with nearly 800 others at Central Piedmont Community College on Thursday, he leaves with two degrees. He also completes an obligation to his family in central Africa. And now he is free to imagine a life of his own design. Born in the nation of Congo, Makoundi-Tchibinda, 22, lived through two civil wars as a child before coming to the United States for college at 18. All of your hard work has finally paid off and we would like to congratulate you on your graduation. We wish you much success in you new career or on your continued education path. Thank you for choosing CPCC and for letting us help you accomplish your personal and professional goals! 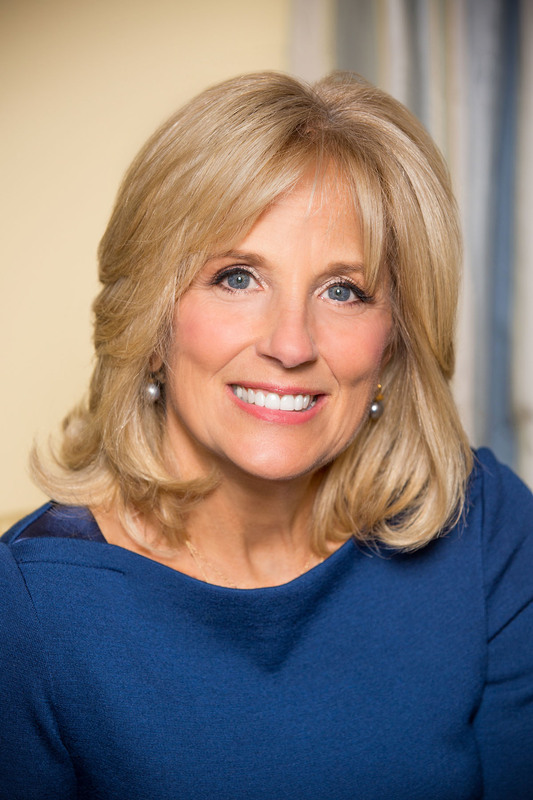 Dr. Jill Biden, Second Lady of the United States, the wife of Vice President Joe Biden, will serve as CPCC’s 2015 graduation speaker. Dr. Biden will address CPCC’s graduates at the May 14 ceremony, planned for 4 p.m., at the Bojangles’ Coliseum, in Charlotte, N.C. The college anticipates as many as 1,800 students will graduate in May, with approximately 800 participating in the ceremony. Dr. Biden is a mother and grandmother, a lifelong educator, a proud Blue Star mom, and an active member of her community. As Second Lady, Dr. Biden works to bring attention to the sacrifices made by military families, to highlight the importance of community colleges to America’s future, and to raise awareness around areas of particular importance to women, including breast cancer prevention, all while continuing to teach full-time as a professor of English at Northern Virginia Community College. Dr. Biden has proclaimed community colleges as “one of America’s best-kept secrets.” As a teacher, she sees how community colleges have changed the lives of so many of her students for the better. As Second Lady, she works to underscore the critical role of community colleges in creating the best, most-educated workforce in the world. In 2012, she traveled across the U.S. as part of the “Community College to Career” tour to highlight successful industry partnerships between community colleges and employers. In the fall of 2010, she hosted the first-ever White House Summit on Community Colleges with President Obama, and she continues to work on this outreach on behalf of the Administration – frequently visiting campuses, meeting with students and teachers, as well as industry representatives around the country. Dr. Biden has been an educator for more than three decades. Prior to moving to Washington, D.C., she taught English at a community college in Delaware, a public high school and a psychiatric hospital for adolescents. She earned her doctorate in education from the University of Delaware in 2007. Her dissertation focused on maximizing student retention in community colleges. She also has two master’s degrees — both of which she earned while working and raising a family. Dr. Biden and the Vice President have three adult children, all of whom are married, and five grandchildren. The Graduation Office will be on campus this fall. Visit them to learn more about applying for graduation, the graduation ceremony, and to have all of your graduation questions answered. Tuesday, Nov. 18: Harris Campus 10 a.m. – 2 p.m.
Thursday, Nov. 20: Merancas Campus 10 a.m. – 1 p.m.
Monday, Dec. 1: Harper Campus 3 p.m. – 6 p.m.
Wednesday, Dec. 3: Cato Campus 9 a.m. – 12 p.m.
Thursday, Dec. 4: Levine Campus 10 a.m. – 1 p.m.
Graduation Analysts are also available from 8 a.m. – 5:30 p.m. daily in the Graduation Office located in Overcash, Room 210. 704-330-6312. April 22 & 23, 2014: 9:00 a.m. – 6:00 p.m. The CPCC Barnes and Noble Bookstore is here to help you celebrate your achievement with the 2014 Grad Fair! 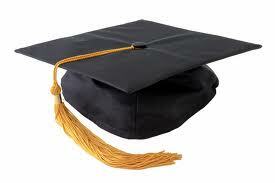 Cap/Gown/Tassel may be picked up Tuesday April 22, 2014 – Wednesday, April 23, 2014, for the cost of $43.98 at the Central Campus Bookstore at the corner of Elizabeth and Charlottetowne Avenues. 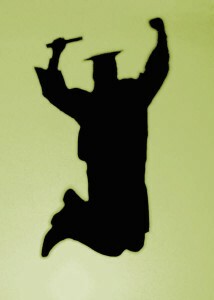 Beginning April 24, the cost for cap, gown and tassel will be $48.98 plus tax. AHS/GED/Pathways Cap/Gown/Tassel can also be picked up on April 22 and 23 at a cost of $32.98 plus tax. Beginning April 24, the cost for AHS/GED/Pathways cap, gown and tassel will be $37.98 plus tax. Additional 50% off already reduced price clothing and other clearance items. Please join us for this two-day event for refreshments and fun.